Season premiere. Amy gives Sheldon an answer to his proposal while Howard and Bernadette struggle with some unexpected news. Series premiere. 9-year-old Sheldon Cooper is a once-in-a-generation mind capable of advanced mathematics and science but learns that isn’t always helpful growing up in East Texas, a land where church and football are king. Season premiere. Kendra and Chale must get married immediately when the Gables learn that he is about to be deported. As Kevin chases down Father Phillip to officiate the ceremony, Vanessa helps Kendra put together the last-minute affair. Series premiere. Bobby Moynihan, Jack Dylan Grazer and John Larroquette star as Alex Riley in a new comedy about the defining moments in one man’s life over three distinct periods – as a 14-year-old in 1991, at age 40 in present day and at 65 in 2042. Season premiere. Team Scorpion must work with their old nemesis Mark Collins in order to prevent the extinction of mankind. 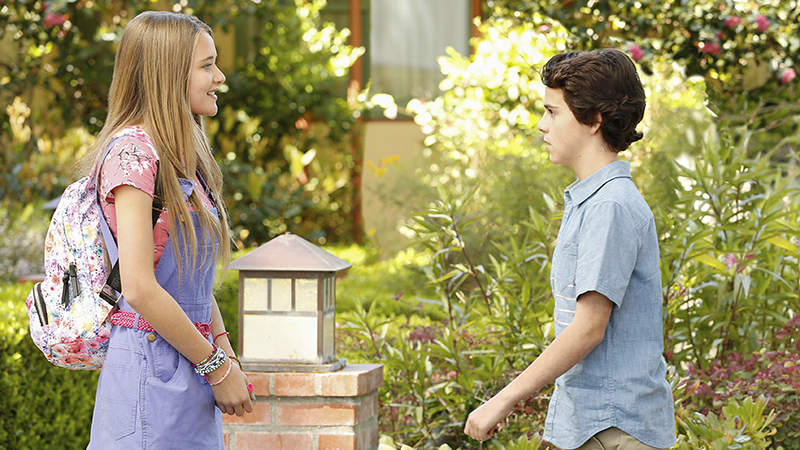 Also, Walter and Paige awkwardly navigate their new relationship. Series premiere. When American doctor Kimberley Wells gets kidnapped by a group with terrorist ties, Captain Adam Dalton and his heroic Special Ops squad of highly trained undercover specialists must take action and stop at nothing to save her. Across the world, D.I.A. Deputy Director Patricia Campbell and her team of analysts guide Dalton along the way through as the group learns that Wells’ disappearance might have ties to something that could be catastrophic. Series premiere. Dr. Shaun Murphy, a young surgeon with autism and savant syndrome, relocates from a quiet country life to join the prestigious St. Bonaventure hospital’s surgical unit. Alone in the world and unable to personally connect with those around him, his only advocate, Dr. Aaron Glassman, challenges the skepticism and prejudices of the hospital’s board and staff when he brings him in to join the team. Shaun will need to work harder than he ever has before, as he navigates his new environment and relationships to prove to his colleagues that his extraordinary medical gifts will save lives. Season finale. Gerry and Yvonne host a group game night. Agent Foster meets a person from her past. Walsh, Jeff, Don, and Kurt enact their mutiny against Eric.